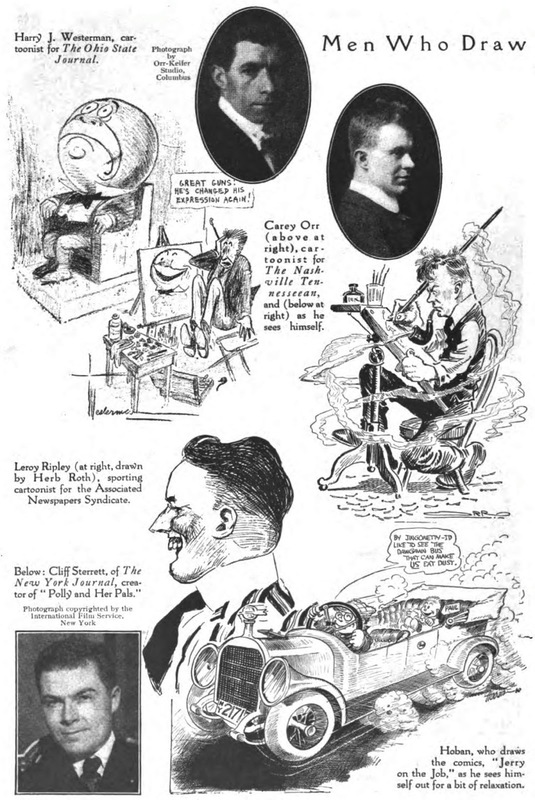 The May and July 1916 issues had the following cartoonists and illustrators: Fontaine Fox, Ralph Barton, C.A. 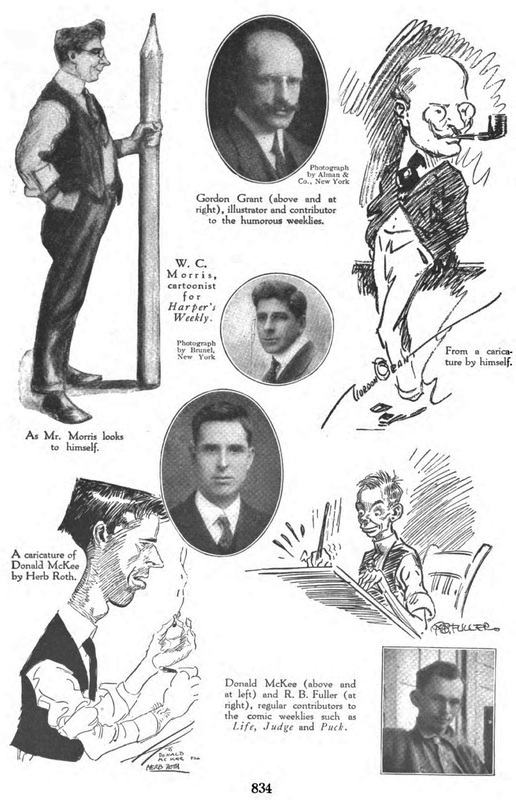 Voight, Gordon Grant, W.C. Morris, Donald McKee, R.B. 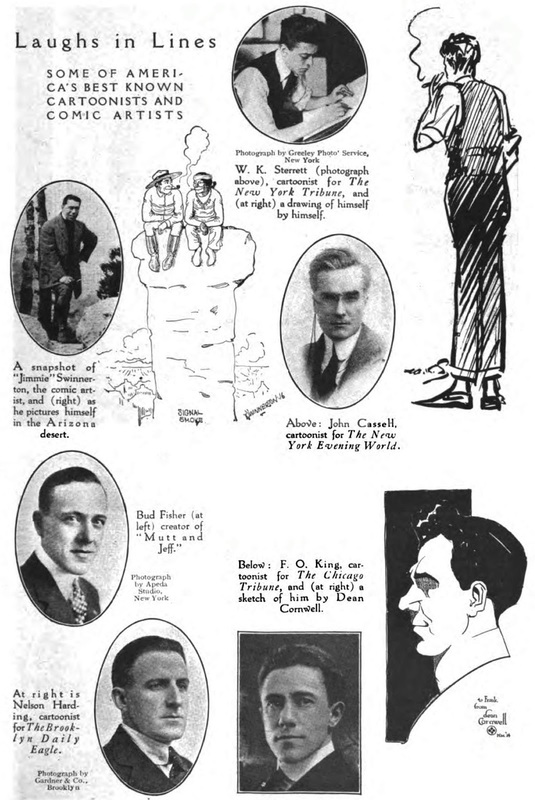 Fuller, Harry J. Westerman, Carey Orr, Leroy Ripley, Cliff Sterrett, Walter Hoban, W.K. 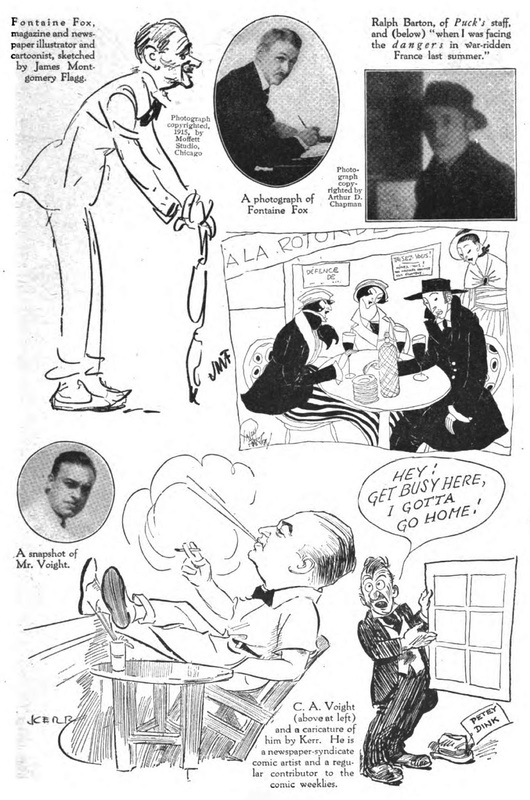 Sterrett, Jimmie Swinnerton, John Cassell, Bud Fisher, Nelson Harding, F.O. 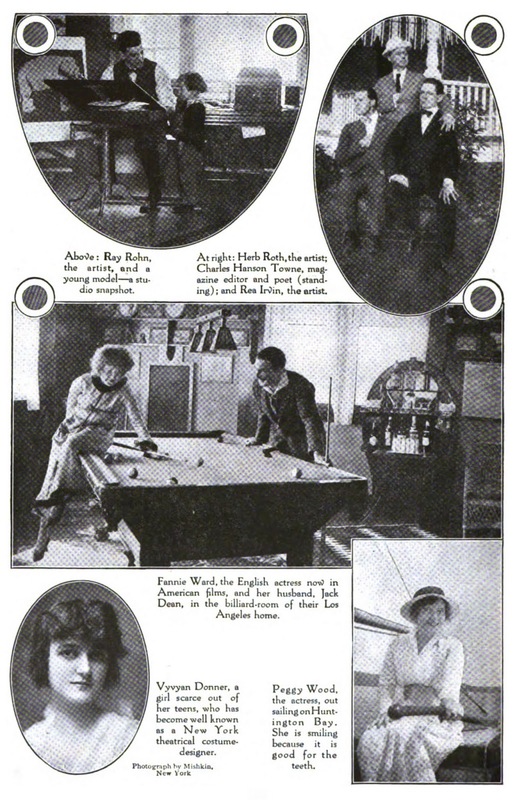 King, Ray Rohn, Herb Roth, and Rea Irvin. Hello, Allan---Vyvyan Donner eventually became the voice of the Ladie's Fashions section of the Fox Movietone newsreel in the mid-30's.